Discussion in 'Off-Topic' started by Marla_Singer, Oct 9, 2004. I've finally decided to dedicate a thread to my city, which I love, but which is often not considered fairly. Indeed, Paris is seen as a postcard, when it's actually a excessivly dense metropolis with few parks and very rude and nasty people who're always hurry (like me). "A war among Europeans is a civil war", Victor Hugo (1802-1885). Now tell me about your experience of Paris. Have you already been there ? Did you enjoy it ? If you didn't, do you wish to visit the city ? Well now it's your turn to talk. Never been to Paris, but it would be great to go some time. The subway looks very nice. European and developed Asian countries invest a lot more money in their trains and subways than Americans do (we should invest more than we do). That's one disturbingly clean subway. It just looks unnatural. "I bring not peace, but the sword." Looks pretty nice. I don't think I'd be too fond of the population density, but its something I'd definitely like to see in my lifetime. Not to pee on your parade, Marla, but why is it called the City of Lights? It looks like a lot of other major metropolitan areas. Is it just a term from the previous century, or is there a reason it carries on today? What the heck is that? It looks like complete traffic anarchy! Awesome photos MS. It's not the Paris I remember. I was in Paris for a few weeks as a teenager in the 60s. I was on my own and stayed in a little hotel on Rue JJ Rouseau. IIRC, a couple of blocks off the Rue de Rivoli. I failed, in my youth, to take advantage of all Paris' cultural delights, but have fond memories of evertyone I met. Since then I've only beeen through CdeGaule on my way to other places. France's population density is much greater than the United States. Belgium is more densely populated than Japan! Washington D.C. has a great subway. I've spent 5 days of my European trip in Paris, what makes it the european city that I know best. And after 5 days, the feeling was that I still had tons of stuff to see and do. Paris was definately one of the cities that I liked the most from all cities that I ever visited. Not only because it's beautiful, but also because of my great interest for french history, particularly late medieval french history. It amazed me to see how much of that time still exists. I didn't find Paris to be that dense at all, in fact it seemed quite a pleasant city and didn't seem as big as the numbers say. But maybe that's because I'm used to hyper-dense metropolis. I did however get the impression that the parisiens are crappy drivers - but that could be just me, since I'm such an excellent driver that I consider everyone else to be crappy. Well, it's not really a parade, I just wanted to show you my city (which I love I must confess). About the fact it's called the city of Lights, I don't really know why. Some people tell it got that name in the 18th century when Paris had been the first city where streets where litten by night (with oil lamps). Other people tell it's because it's the place where most of the Lights philosopher have developped their main ideas. Personally, I don't know... I've just called it this way in the title because I've thought it sounded cool. Hehe... well that's Paris, the Place de l'Etoile where is located the Arc de Triomphe. It looks messy this way, but actually everyone knows perfectly where everyone go. Awesome photos MS. It's not the Paris I remember. I was in Paris for a few weeks as a teenager in the 60s. I was on my own and stayed in a little hotel on Rue JJ Rouseau. IIRC, a couple of blocks off the Rue de Rivoli. I failed, in my youth, to take advantage of all Paris' cultural delights, but have fond memories of everyone I met. Since then I've only beeen through CdeGaule on my way to other places. Well, Paris hadn't change that much actually. However, in my pictures I wanted to show more the modern aspects of the city. I wanted to show the city in a different way than the usual pictures of the Sacré Coeur, the Champs-Elysées or Notre-Dame. Actually, many Parisians are highly conservative about their city... for them, it's perfect and shouldn't be changed (except to get rid of cars and things like that). I've posted initially several of those pictures on a French forum to prove that modernity is not necessarily a synonimous of uglyness. @MS: None of the modern high rises were there when I was. I assume they are around the edges of the old city. To the north? I loved the aerial photos (from a plane or the ET I would guess. The fourth picture down seems to have been taken from a building in a residential neighborhood. Your building? Paris is actually pretty dense. There are 21,000 people per square kilometer when for instance that figure is about 25,000 people/km² in Manhattan, 8,500 people/km² in the Inner London and 3,800 people/km² in Berlin. What gives the impression Paris isn't that big comes from the fact the center is physically disjoined from the rest of the metropolis with a large highway. 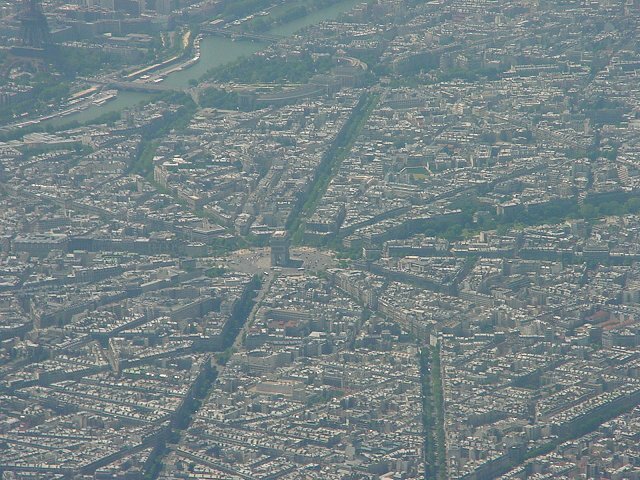 As such, the municipality of Paris consists only as the very center of the urban area, and it's actually not that big (Only 2 million people for 105 km²), in surface area, Paris on itself is smaller than Brussels. Well, I trust you about the traffic in São Paulo. Actually, I agree with you that Paris traffic isn't so bad (except in rush hours where it's really impossible to move). It's not that hard to drive in the city. However, I disagree when you say that Parisians are crappy drivers. I think they are quite good actually, but of course there's a specific way to drive in Paris and if you don't know the tricks, you can be surprized by some drivers behaviours. That's the same everywhere. Anyway, as there are huge traffic jams in Paris, the most important is to move. If you risk to block a crossing between two avenues, then you should create a new line to avoid this... well anyway, I guess that's not so different in São Paulo. Actually, most bars are very dishonnest. As such, in touristic places such as on the Champs-Elysées or around the Eiffel Tower, the price to drink a beer or a coffee are insanely high (about 4 times most expensive than usual prices in Paris). However, that doesn't change the fact that those usual prices are already very expensive. However, it remains less expensive than London, which is according to my experience still less expensive than Copenhagen or Oslo. @MS: None of the modern high rises were there when I was. I assume they are around the edges of the old city. To the north? 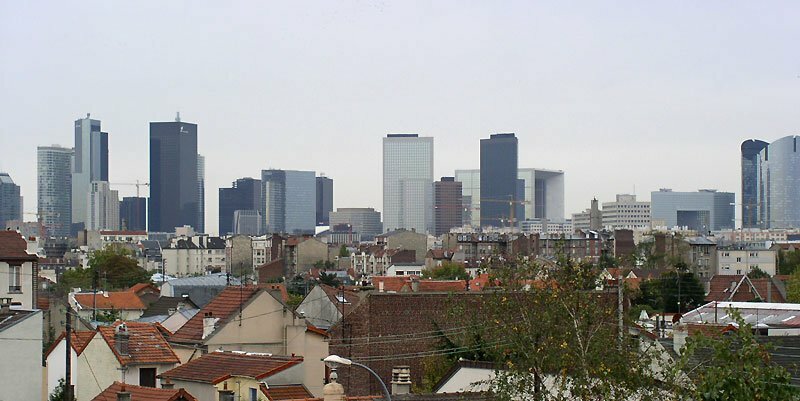 Yes indeed, the modern high rises have been built on a neighbourhood called La Défense created at the end of the 60's. 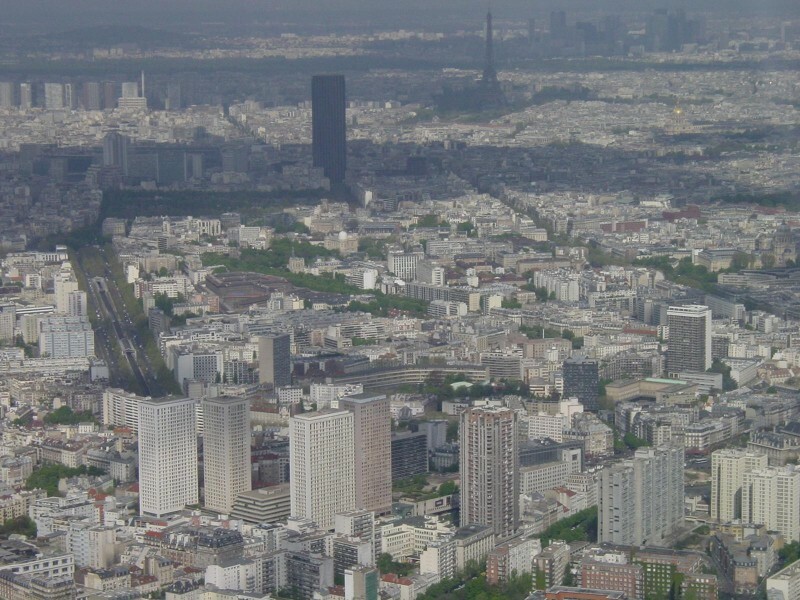 La Défense is on the West of Paris in the continuation of the Champs-Elysées. 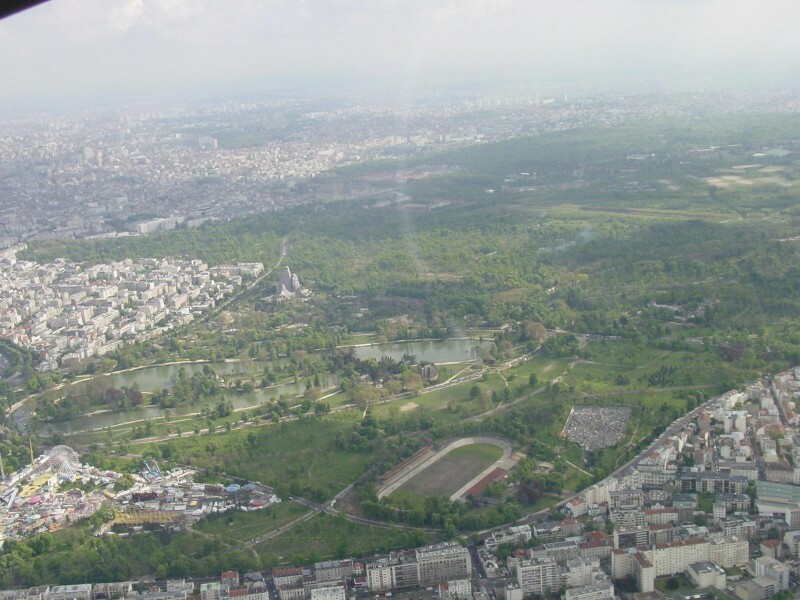 You're right when you say it's been built on the edge of the city, it's actually not in the municipality of Paris in itself but built on three municipalities called Courbevoie, Nanterre and Puteaux. I loved the aerial photos (from a plane or the ET I would guess). The fourth picture down seems to have been taken from a building in a residential neighborhood. Your building? Yeah I loved those aerial pictures too. About the fourth picture down, I've found it from the net, it's not a picture from my place. I don't see the highrises from my building which is in the South West of Paris in Issy.